French Club is for any student who is currently (or was previously) enrolled in a French class. We try to have one activity planned each month where French students can get to know each other outside of the classroom. The events are centered on a French theme, holiday, or tradition and include the annual chocolate party, cheese party, Christmas party, movie night, etc. 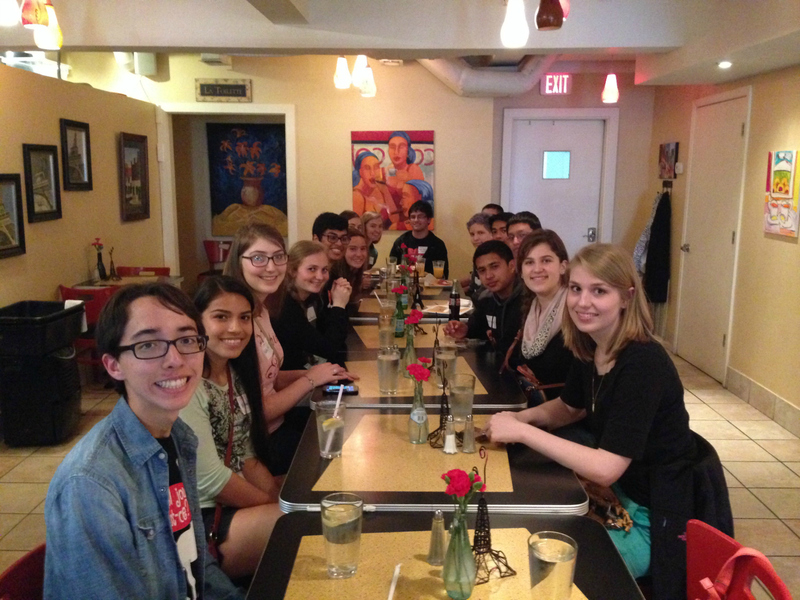 Each spring we take a field trip to learn more about French culture outside of the classroom. Last year we went to the Nelson-Atkins Museum to look at French art and then ate at a French restaurant. Our fundraisers include selling “bons-bons” (French candy) and sometimes a bake sale. We also get t-shirts made every year. T-Shirts are on sale at the Spartan-Saver for 15$ and dues are 5$ (Special Deal, 18$ for both).We plan to sell bonbons sometime this semester. Next spring we will have concessions (Feb 16), our annual field trip, more parties, and we will compete against German Club in Capture the Flag.